Thousands of US troops are taking part in war games with Israeli soldiers in a simulation of an attack on the country by Iran. 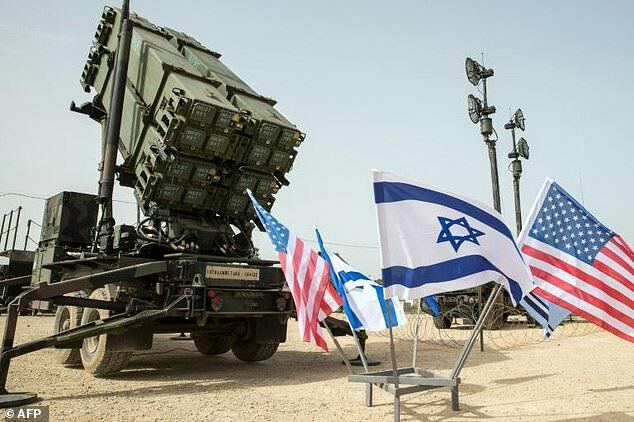 US and Israeli commanders overseeing the major joint air defence exercise spoke Thursday of preparing for evolving threats in the Middle East during the drill. It runs from March 4 to March 15 this year and involves more than 2,500 US troops and 2,000 Israeli Aerial Defense troops. While refraining from specifying the threats the exercise simulated, Brigadier General Zvika Haimovich, head of the Israeli air defence command, mentioned ‘changes’ in the region by ‘state and non-state actors’. ‘We will practise all the directions,’ he told reporters at the Hatzor air force base in central Israel. ‘In our toolbox, we have an additional element if necessary, and that is the presence of the American partner, here together with us,’ he said. ‘Our senior leaders have committed that when requested by the Israeli government we’ll be ready to execute and be here,’ he said while standing near various short, medium and long-range aerial defence systems used by the Israeli army. US forces had prepared for the drill over 18 months, which for Clark was not only an opportunity to enhance his soldiers’ skills but also ‘a symbol of our commitment to the safety and security of Israel’. To Haimovich, the exercise ‘reflects the strategic, professional and operational bond between the state of Israel and the United States’ and their militaries, he said.